A common mistake tenants make when they are moving out is thinking that getting back their deposit will be an easy task. If you want to see your money again, you will first need to thoroughly clean the property before you vacate it. This will not take a long time or a lot of effort if you decide to rely on our effective end of tenancy cleaning in Uxbridge. Our trained cleaners will wipe, sweep and dust as if their lives depend on it just so that you can get your rental deposit back. Hire us from Cleaning Uxbridge and we will restore the rental property back to its original condition. Our trusted end of tenancy cleaning service in Uxbridge is used not only by tenants who are about to move out but also by landlords and real estate agents. What is more, it is suitable for various types of properties – from studios and 4-bedroom flats to small and big houses. We are licensed, equipped and qualified to fulfil all of your end of tenancy cleaning needs and requirements. In addition to that, our moving-out cleaning service is incredibly customisable. Our clients can choose priority areas and to demand a personalised quote. 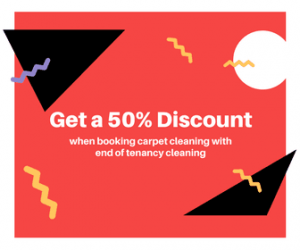 As our customer, you will also be able to decide whether you want to combine our quality end of tenancy cleaning in Uxbridge with our health-friendly carpet cleaning service. Tenants are not always obliged to hire trained cleaning technicians to do their end of tenancy cleaning. However, only an experienced professional will be able to deep clean the property and to remove old stains from the carpets, upholstery, curtains and etc. Simply said professionals do it better and since our competent and diligent cleaning experts are among the best in the business, you are guaranteed to receive a top-quality end of tenancy cleaning if you book us. Also, some cleaning tasks require the use of professional cleaning machines which we have. Therefore, you will not need to rent any cleaning equipment if you want to complete your moving-out duties. If you don’t want to use all-round end of tenancy cleaning in Uxbridge because you don’t have a lot of money set aside, do not worry. Our services are inexpensive since we stick to an honest and client-centred pricing policy. That is namely why the starting price of this service of ours is set at barely £89. We also have many amazing deals for you! If you are a landlord, for instance, we will give you a 10% discount. New customers, on the other hand, enjoy a £10 price cut if they spend more than £100 on our comprehensive end of tenancy cleaning in Uxbridge and on our professional carpet cleaning service. In fact, if you do decide to combine these two services, we will treat you with a generous 50% discount. To make the cleaning process easier and faster, we always advise our customers to prepare the property for the arrival of our skilled and well-versed cleaning technicians. This means that there should be no clutter in the property. Even if you are still in the process of packing and moving out, make sure that there are no items lying on the floor and that all surfaces have been cleared out. Also, remember to empty all appliances, including the washing machine, the dishwasher, the oven and etc. Defrosting your fridge and freezer is also a must. Otherwise, Cleaning Uxbridge’s team won’t be able to properly clean these appliances.